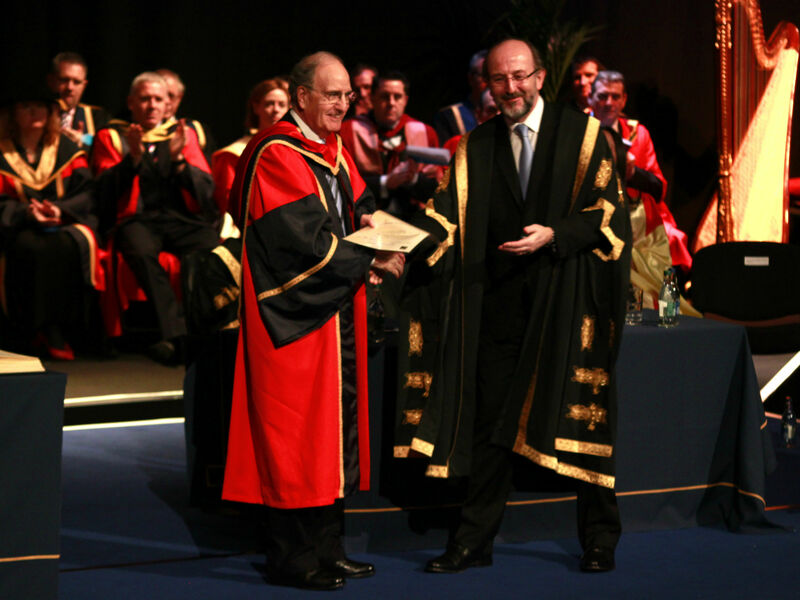 Former US Senator George Mitchell was awarded an honorary doctorate by DCU in recognition of his work on the peace process in Northern Ireland last week. The award comes 15 years after the signing of the Good Friday Agreement. The negotiations of the agreement were chaired by Mitchell and he was seen as instrumental in bringing the signatories together. The signing of the Good Friday Agreement is seen as one of the defining events of the Northern Ireland peace process. Mitchell gave a short speech after the conferring ceremony in which he talked about the changes that have happened in Northern Ireland since the agreement was signed. “Northern Ireland is a better place today than it was 15 years ago, and I am certain that in 15 years it will be better than it is today,” he said. Mitchell was also keen to deflect praise away from himself, and instead toward many of the other contributors to the peace process. “Primary credit must go to the Irish and British governments who sponsored the talks and to the people and political leaders of Northern Ireland,” he said. The Chancellor of DCU, Dr Martin McAleese, and the university President, Prof Brian MacCraith, also gave speeches during the ceremony in which they praised Mitchell’s lasting contribution to Ireland. The ceremony was attended by dignitaries from various walks of life as well as academics and students from DCU. School children from both sides of the border were also in attendance.